I was provided a copy of this E-book by Netgalley in exchange for a review. All opinions are my own and I was not compensated in any way for them. 15 Year Old Peyton Anderson is your typical teenage girl, she focuses on her studies and whether her super hot boyfriend really loves her. Life is pretty much the way it should be except,people are starting to fall ill, her father is spouting nonsense about the end of the world and the only one who seems to understand it all is the boy shes been avoiding for the past six years. Four Years Later after hiding away in an underground bunker, Peyton emerges to a world vastly changed. For one thing her neighbors are trying to eat her and she's been enhanced to be the ultimate fighting machine. Peyton knows she has to find her father, but when she runs into the boy she left behind and his small group of survivors,Peyton is left with the ultimate choice. Should she stay or should she go? 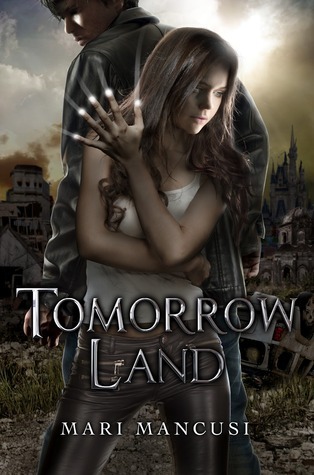 This book is set in a modern world, least that is the what the Author wants you to believe. In all honesty I think the Author tried a bit to hard convincing the reader that this was some cyber fueled world. For one thing everything was either an I app or Smart something both very "techie" terms. I was actually glad once the plague hit and that part of the book was over. 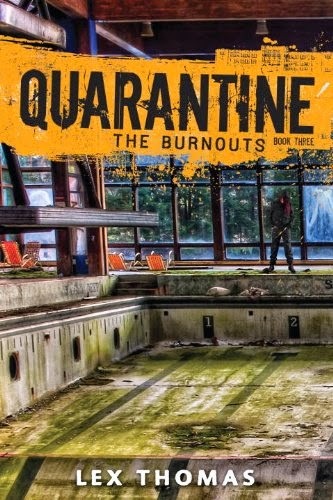 Once the characters were placed in the Post Apocalypse surroundings the book started to flow better and not feel so forced. I really wanted to love this book after waiting so long to read it. Let me clarify, it's not like it was bad it just wasn't anything special. Peyton was a likeable, strong female character. It just took me awhile to warm up to her, in fact I really didn't like her at all until about 10 chapters in. The male lead Character Chris/Chase on the other hand I instantly liked. You could tell he wasn't just going to be thrown into the story to be a love interest. He was smart and quick thinking, I knew he would play an important role in Peyton's story arc from the moment he showed up. I also really liked Tank and the children. While they didn't have a bunch of lines, they certainly brought some great moments to the story. One thing I didn't like about this book were the flashback chapters. I could pretty much figure out why Peyton went underground within the first few pages. While flashbacks certainly can work (example: Susan Winnacker's The Other Life) I think for this book they were entirely unnecessary. These snippets into the past would of been better served added into the beginning and omitting all the tech talk and world building with characters barely important to the book. Overall this book was good enough that if the Author decided to ever write a sequel I'd want to read it. Which is why I am rating Tomorrow Land ★★★ Stars. Worth a read, worth your time, just not without some bumps along the way.